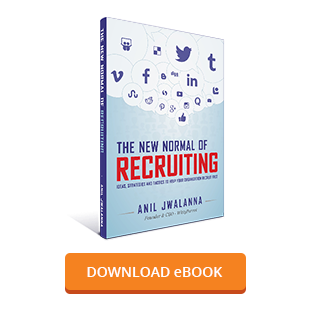 When we talk about tools for recruiting, our minds often leap straight to the latest technologies. Sure, social media, assessment science, applicant tracking software, and big data have each changed the face of recruiting, but the most important tool in your toolkit has been there all along: communication. With hiring and retention more challenging than ever, due to the combination of a volatile economy and tight talent market, employers cannot afford to misfire when it comes to determining and implementing effective compensation strategies. Let’s take a closer look at the latest research into the current state of compensation, along with highlighting the dynamic desires of their talent markets and why understanding them will lead today’s organizations toward optimal hiring outcomes. While just 12 percent of the workforce are actively looking for jobs, a full 85 percent are open to exploring new opportunities, according to LinkedIn’s annual “Talent Trends” report. This is good news for recruiters, but only for those savvy enough to know how to reach the vast majority of people who fall into the latter category. Let’s take a closer look at the contemporary state of passive candidates, as well as some key takeaways for recruiters aiming to transform today’s passive candidates into tomorrow’s top organizational talent. If you’re an HR professional worth your salt, you’re already aware of the importance of employee engagement. But understanding that something is important and applying best practices to support it, is an entirely different story. Looking to leverage employee engagement into meaningful results? Here’s what you need to know. In the beginning, ‘classifieds’ were the one and only way to connect employers with job hunters. Changing technology has since brought with it everything from advanced applicant tracking systems to job boards. Then came another game-changer: social media. In short: the landscape of human resources and recruiting is vastly different than the one we knew 50, 20 or even 5 years ago. So how can recruiters stay relevant in such a dynamic environment? It’s possible, but requires both perseverance and creativity. Let’s take a look at five ways to stay ahead of the curve. In my previous blog, I covered the dearth of qualified candidates in today’s workforce. Which begs the question: what can savvy recruiters do to protect their organizations from the shortfall? The answer — on paper, anyway — is simple: build a talent pipeline. In reality, of course, it’s more complicated than that. Let’s take a closer look at the concept of pipelining, along with what you can do to get yours full and flowing. Is the U.S. currently facing a skills gap? That depends on who you ask. Let’s take a closer look at the question of whether the skills gap really exists, and what today’s organizations need to know in order to survive and thrive. While recruiting the best candidates is a critical part of maximizing your workforce potential and bettering your bottom line, you’re taking two steps forward and one back if you fail to focus on an oft-neglected part of the equation: retention. Let’s take a closer look at five proven strategies aimed at helping you retain good employees. Recruiters today are faced with more challenges than ever. Discerning candidates, an uncertain economy, and dynamic technology have transformed the way recruiters do their jobs. Let’s take a closer look at four of the most common problems facing recruiters today, along with techniques for overcoming these obstacles.